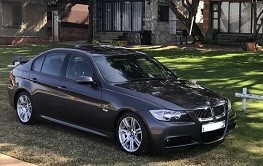 I am looking to get into a E90 320d sometime this year. From what I've read, LCI seems the way to go. Consumption with the torque seems to be the best combination. How are the 6sp auto boxes? I've heard they can be sluggish. I''ve come from a B8 S4, but the consumption and maintenance was killing me. What spec should I be looking at? I would recommend looking at a LCI 330d rather than 320d if you are used to the s4. The 30d is obviously a bit heavier than 20d on fuel,but it is marginal in my opinion given the performance difference. Decent spec 330ds with low mileage are becoming hens teeth though. The 6HP boxes are actually good as far as I am concerned ,they obviously don't perform as well as the newer 8speed boxes,but I would rate them as one of the better boxes of that time period.The XHP gearbox flash makes these 6speed boxes perform extremely well. The 320d(and 330d) are relatively cheap to maintain ,the box needs to be serviced at around 80-100k km and the crank dampner pulley would need to be replaced at abou 150k km. I was kinda over the power of the S4, using it less and less, due to traffic and growing up I guess. The 320d seems to be the sweet spot and more readily available, but if a well specced 330d comes around, the premium seems to be worth it. I would have stayed with Audi, but the multitronic gearboxes on the diesels are not worth the trouble when they break.